Iraqi Kurdish fighters are slowly laying the groundwork for a prolonged military offensive against Islamic State forces by reclaiming strategic villages on the northern Iraqi plains as they prepare to serve as the front-line fighters in America's new Middle East conflict. Backed by a small number of U.S. airstrikes, lightly armed Peshmerga forces routed Islamic State extremists from this deserted village on the rolling plains separating Kurdistan from the militant stronghold in Mosul. 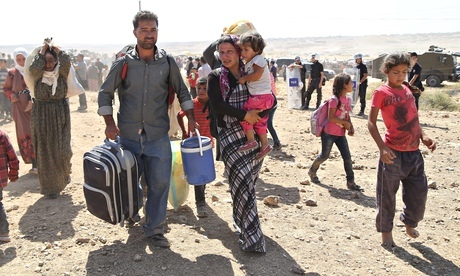 retaking the village from Islamic State militants. The tentative control of Hassan al-Sham is the latest military victory for Kurdish forces making painstaking progress in reclaiming territory Islamic State militants captured during their summer offensive. "We've succeeded in stopping them on this front," said Rowsch Nuri Shaways, the former deputy prime minister leading the military campaign. "We're on the offensive and now we control the plains of Mosul." That battlefield boast overstates the gains Kurdish fighters have made and understates the daunting challenge Iraqi and Kurdish forces face in marching the 30 miles between here and Mosul, which Islamic State fighters have controlled since June. 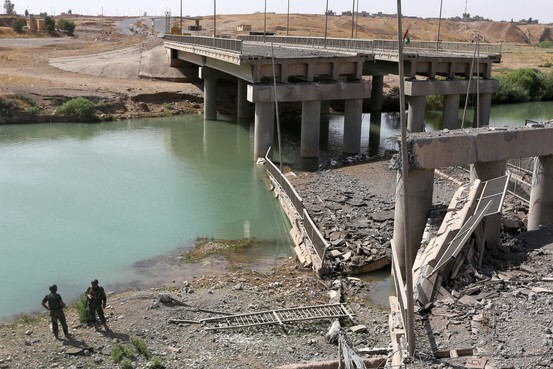 bridges in Hassan al-Sham, Iraq, on Friday. 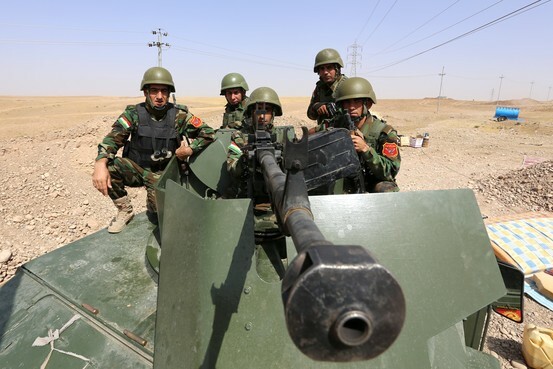 Kurdish forces and Iraq's national military are ill-equipped for urban street battles with Islamic State fighters. U.S. airstrikes, without better intelligence from the ground, are likely to be less effective in Iraqi cities, where there will be a greater risk of killing civilians. And the international coalition taking shape to defeat Islamic State extremists is in no rush to give Kurdish and Iraqi forces the advanced weapons they want to keep the pressure on their adversaries. Meanwhile in Syria, Kurdish forces called on Sunday for outside help as the United Nations said 70,000 people had fled into Turkey to escape an Islamic State offensive on regional capital of Ayn al-Arab, a strategic border town. For now, Kurdish fighters in Iraq are relying on a growing international supply of ammunition, mortars, machine guns and other modest weaponry in the counteroffensive making halting gains.